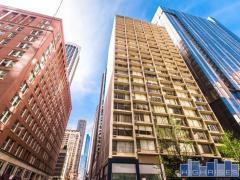 Walk to restaurants, the lake, North Ave Beach and Old Town from your home at 1540 N State. Building amenities include door staff, bike room, rental parking and on-site laundry. Dogs are allowed under 30 pounds. Have any comments or questions about 1540 North State? Ask your question and/or share your thoughts about this Building.